Nvidia topped Wall Street’s earnings expectations on Thursday but cut its third-quarter revenue forecast. The chipmaker now expects third-quarter revenue to be around $US3.25 billion where the Street had previously expected $US3.34 billion. Follow Nvidia’s stock price in real-time here. Shares of Nvidia fell 6% in after-hours trading Thursday following a guidance cut from the chipmaker despite posting second-quarter earnings that topped Wall Street’s expectations. Earnings: $US1.94 per share where analysts had expected $US1.85. Revenue: $US3.12 billion where analysts had expected $US3.11 billion. 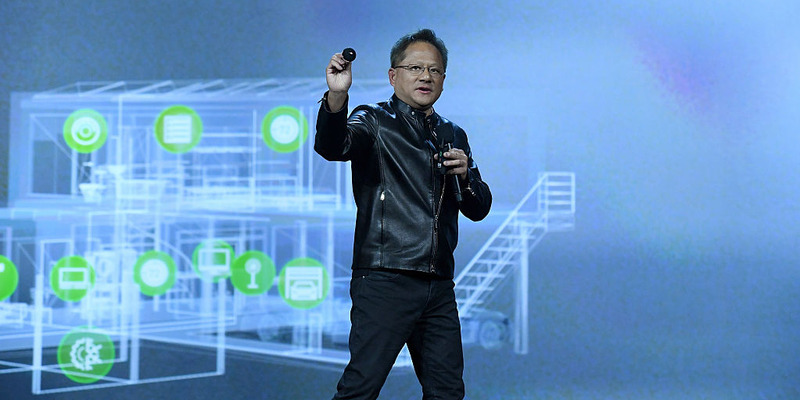 “Growth across every platform – AI, Gaming, Professional Visualisation, self-driving cars – drove another great quarter,” Jensen Huang, Nvidia’s chief executive, said in a press release. The company also announced plans to return $US1.25 billion to shareholders in fiscal year 2019, starting with a $US0.15 dividend per share on September 21 to all shareholders on record as of August 30. 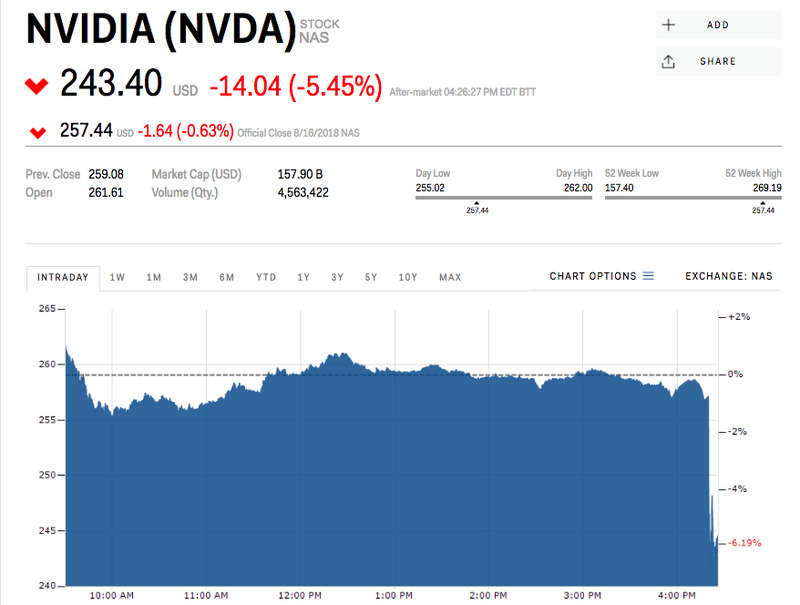 For the third quarter, Nvidia forecasted its revenue to be within 2% of $US3.25 billion where the Street had expected $US3.34 billion.